Every year on January 1st, millions of Americans become overachievers by setting New Year’s resolutions which typically involve health and weight loss. The bar is set high, but often by February, those goals have been long forgotten. Is it because we’re weak? Lazy? Unmotivated? No—it’s because we are busy. How can we accommodate goals for healthier behavior into our hectic lifestyles? It’s simple: Be realistic in our intentions. Healthier eating doesn’t need to be achieved by eliminating certain foods from our diet. Take a positive approach – what could you add to your diet each day to make it more balanced? Do you eat five servings of fruits and vegetables daily? Do you eat foods containing omega-3 fatty acids, such as salmon and walnuts, regularly? Do you consume enough calcium? Are you regularly eating 25 grams or more of fiber each day? By analyzing what we could be eating for optimal health and adding the necessities, junk foods can be eliminated without intentionally removing them from the diet—there simply won’t be enough room for junk once you’re meeting your nutritional needs. Have you made a deal with yourself to join a gym and spend one hour there every day? It may seem like a big commitment – because it is. Take the pressure out of the physical activity by making a resolution to try many various types of exercise until you find several that you like. Working out in a gym setting isn’t for everyone. Exercise can be incorporated into the lifestyle easily if it is enjoyable. For example, instead of meeting a friend for breakfast on the weekend, meet at a park and walk instead. Consider trying a yoga class. Browse workout routines on-demand. Don’t find yourself in a gym rut which you may cause you to abandon your fitness goals. Keep exercise fresh by incorporating variety. Being flexible in our expectations can allow us to be creative and enjoy working towards our goals. This year, set realistic resolutions and be prepared to have fun along the way. Here are some simple strategies to avoid overeating and packing on the pounds. By planning ahead and sticking to your resolve, you can follow a healthy diet all year long. Grabbing meals on the run while shopping or grazing the buffet at social events only encourages you to eat unhealthy or more than usual. If you must skip a meal or eat at an abnormal time, keep healthy snacks nearby, such as oatmeal, almonds, cereal, fruit or string cheese. Lack of sleep contributes to weight gain and stress. Aim for at least 7 hours of shut eye in order to keep your stress and hormone levels in check. Avoid beverages high in sugar and calories, or at least limit your intake to a single drink. Also, alcohol adds extra unwanted calories and, if too much is consumed it lowers inhibitions and can lead to overeating. Have a glass or two of water before you start drinking alcoholic beverages, and have one in between drinks, to slow your alcohol consumption. Physical activity reduces stress and gives us more energy. If you know you will indulge a bit, increase your exercise time a bit every day. Remember, if you increase your exercise, that splurge won’t ruin you. Adequate water intake keeps your metabolism humming along at a maximum rate and staves off hunger cravings as well. Mild dehydration can mimic hunger. The best way to avoid becoming dehydrated – and that hungry sensation and excess pounds – is to drink plenty of water. 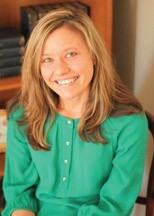 Adrien Trevisan is a registered dietician at Brandywine Hospital. 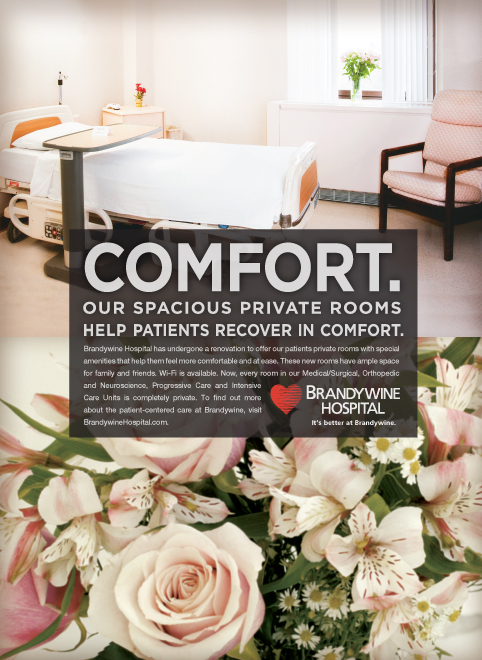 Adrien, along with the nutrition services department at Brandywine offer outpatient nutrition counseling, evaluations, and follow-up sessions for a variety of nutritional concerns including diabetes, weight management, cancer, celiac disease, liver disease, and more. For additional information, feel free to call 610-383-8082. For registration and scheduling information, please call 610-383-8760.